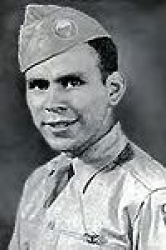 Private First Class Manuel Perez, Jr. (3 March 1923 - 13 February 1945) was a U.S. Army soldier who was posthumously awarded the U.S. military's highest award for valor, the Medal of Honor, for his heroic actions in the Battle of Luzon during the Philippines campaign of World War II. Manuel Perez, Jr. was a Mexican-American born on 3 March 1923 in Oklahoma City, OK. There he received his primary and secondary education. 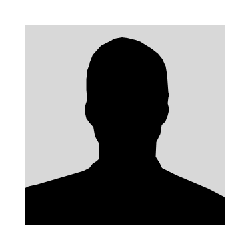 He moved to Chicago, IL, where he worked before joining the U.S. Army upon the outbreak of World War II. After his basic training, the Army sent him to paratrooper school. Japanese forces had invaded the Philippine islands and had under its control all of the U.S. Military Installations including Fort William McKinley which was located just south of Manila the capital. Fort William McKinley was where USAFFE (United States Army Forces - Far East) had its headquarters for the Philippine Department and the Philippine Division. The bulk of the Philippine Division was stationed here and this was where, under the National Defense Act of 1935, specialized artillery training was conducted. In 1945, Perez was sent to the Philippines and assigned to Company A, 511th Parachute Infantry, 11th Airborne Division whose mission was to take Fort William McKinley. On 13 February as the 11th Airborne Division approached the fort, it encountered a strong enemy fortified sector. The sector was composed of cement pillboxes armed with .50-caliber dual-purpose machine guns which defended the entrance to the fort. Upon the realization that the pillboxes (blockhouses) were withholding the advance of his division, Perez took it upon himself to charge the fortifications and blast them away with grenades. He killed 18 of the enemy before he was mortally wounded. Due to his actions his unit was able to advance successfully. For his heroism, he was posthumously awarded the Medal of Honor. 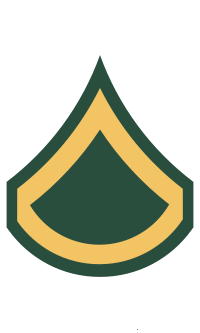 Rank and organization: Private First Class, U.S. Army, Company A, 511th Parachute Infantry, 11th Airborne Division. The State of Illinois honored the memory of Perez by naming a plaza located in Chicago's Little Village Square, and a school, after him. The Department of the Army re-named the reserve center at the 221st Unit Army Hospital in Oklahoma City as the Manuel Perez Jr Reserve Center. Private First Class Manuel Perez, Jr. was killed in action on 13 February 1945. Perez was buried with full military honors at Fairlawn Cemetery in Oklahoma City, OK.